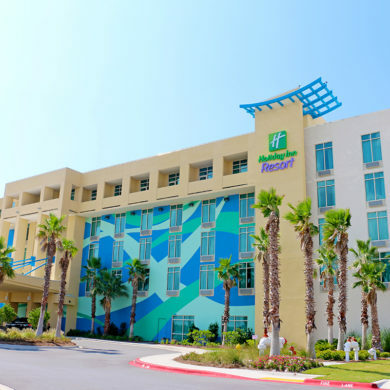 Holiday Inn Resort Fort Walton Beach Hotel on Okaloosa Island – Your Florida Beach Vacation Destination. It’s that feeling you get when you finally round the corner and spot the hotel for the first time. All your dreams and plans for your vacation begin with that moment. And when you stay at the Holiday Inn Resort Fort Walton Beach hotel, that moment is the start of something magical. We are located on beautiful Okaloosa Island, directly on the beach facing the Gulf of Mexico. Go ahead, get excited. Take in the color. The wonder. The knowledge that the white sands and emerald waters are your new backyard. Get out of the car. Race the kids to the front desk. Check out the view from our lobby. Place your key in the door, wait for the familiar buzz – and unlock your personal adventure. Whatever you want out of your vacation, it’s right here. We’re at your service – helping you have fun and create memories. This is how a vacation should feel. Our Okaloosa Island hotel is perfect not just for family vacations, but also for romantic getaways, meetings and events, and business travel. 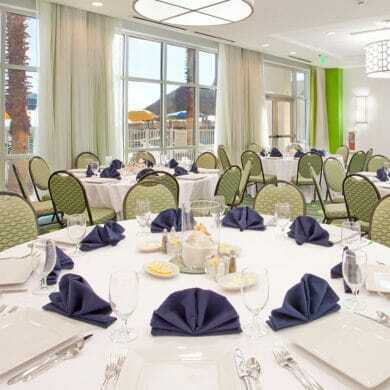 The Holiday Inn Resort – Fort Walton Beach hotel is located close to restaurants, nightlife and outdoor adventure. The Gulfarium Marine Adventure Park and Boardwalk Okaloosa Island are within walking distance. The Emerald Coast Convention Center is across the street. Eglin Air Force Base and Hurlburt Field are mere minutes from the hotel. We’re a quick drive to fun family attractions like Big Kahuna’s Water and Adventure Park and The Track. Discover upscale shopping at nearby Destin Commons and Silver Sands Outlets. World class golf courses await at The Oaks and The Pines. Avid anglers can join one of the many fishing charters out of Destin Harbor. Everything you need to have an unforgettable vacation is here. Don’t believe us? Check out our reviews here. We’re waiting for you here on Okaloosa Island in Fort Walton Beach … what are you waiting for? 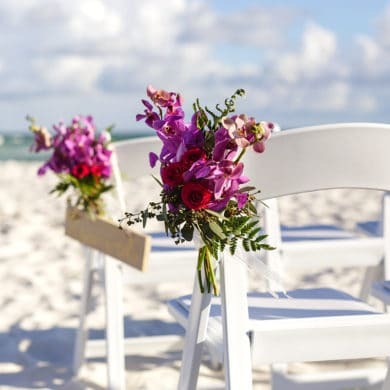 Celebrate your special someone with a romantic getaway in Fort Walton Beach, FL. Book our romance package and enjoy breakfast in bed, bubbly and late check-out. Book early and save with our Fort Walton Beach hotel package on the vacation you've been dreaming about all year, and get free breakfast with your stay! Lazy Days Beach Rentals offers first class beach rental services. The Gulfarium Marine Adventure Park—third largest marine animal facility in the United States—has made leaps and bounds in the nearly six decades since it opened. When you come to the Emerald Coast, chances are you’ll want to put your toes in the sand every chance you get. So if you’ve spent all day by the water and you’re still longing for more, here is our list of the best waterfront dining near Fort Walton Beach.